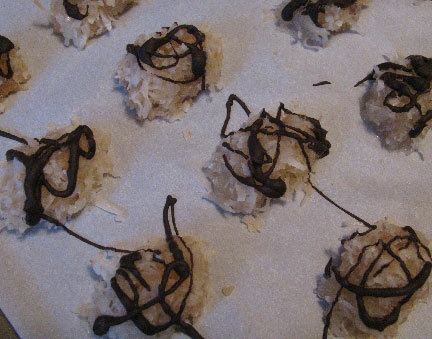 I made these macaroons recently, and I just wasn't thrilled with them. No matter how long I left them in the oven, I just couldn't get them dried out properly. I decided that the culprit was just too many egg whites. Other recipes that I've seen, including Paula Deen's, use only half the egg whites of this one, so I'm back to the drawing board. I'll probably try Paula's next.